If you wish to register your child for any part of Falkner House please complete the registration form. We only accept registration once a child is born. Registered boys will be invited to an assessment in the autumn before proposed entry to the school. 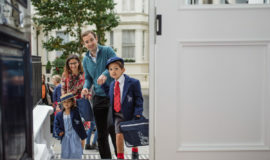 Most boys will join the Prep school in the September following their fourth birthday. Parents are encouraged to register their interest as early as possible. 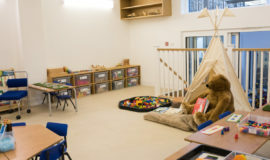 The Nursery offers places on a first come first served basis. 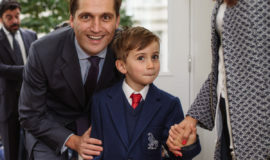 Please note that a place in Nursery does not guarantee a boy a place in the Prep School. Please contact the office to book an appointment to join us at one of our weekly meetings to see the school and find out more about Falkner House. During the year before entry boys (including boys in the Falkner House Nursery) are called for an assessment. The staff work hard to make sure that this experience is both friendly and personal. We are looking for potential rather than attainment and we balance a wide range of factors before offering places. Our key objective is that your son should be successful and happy at Falkner House. Places are offered as quickly as possible after the assessment process. 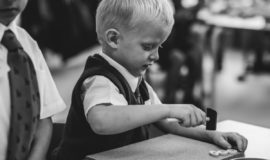 We try to keep to a time scale in accordance with other prep schools to make it easier for parents to reach their final decision. 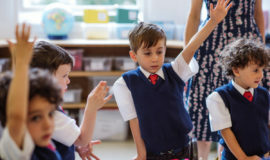 From time to time vacancies will occur throughout the school and we always welcome enquiries from parents who would like their sons to be considered. As part of our family ethos we support a sibling policy. However that does not always guarantee a place and if we believe a brother or sister will flourish more in another environment, we discuss the matter with parents.